Jumpstarting the modern understanding of survival horror, 1996’s Resident Evil set the standard for what could be achieved with the right mixture of tension, tight item management, and puzzles. A breath of fresh air amongst the unending torrent of platformers and JRPGs, Resident Evil would quickly find itself subject to the commodity machine that is the blockbuster video game market. Beyond countless sequels over the subsequent years, the true legacy of Resident Evil is in its copycats, however stripped they may be of director Shinji Mikami’s deliberate pacing, use of lavish pre-rendered backgrounds, and spot-on attention to crafting tension. Stripping away Mikami’s direction left the core of the experience: the nail-biting agony of clunky controls and piss-poor item management. Quickly becoming the “hot new thing,” the genre was stuffed with contenders wanting to do their best to recapture the lightning in a bottle that was Resident Evil. 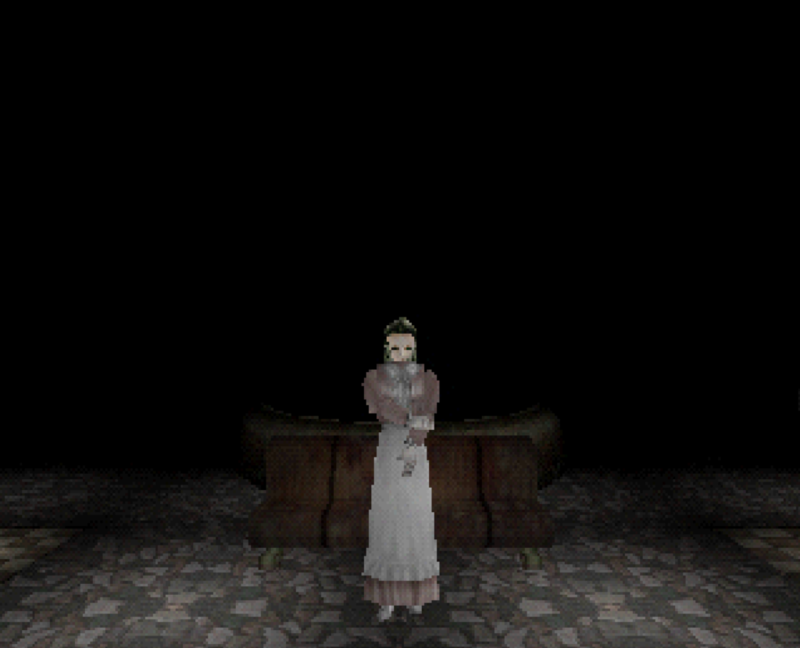 To name a few: Blue Stinger, Dino Crisis, Deep Fear, Galerians, Silent Hill, Clock Tower, and even Alone in the Dark, the progenitor of RE’s brand of horror, would all try their best to coax out frights and excitement similar to those that Resident Evil had become cherished for. While several of those went in completely different directions from their inspiration, the core experience remained the same: you are frail, you must manage extremely limited resources, and you are being hunted by forces ultimately stronger than you. 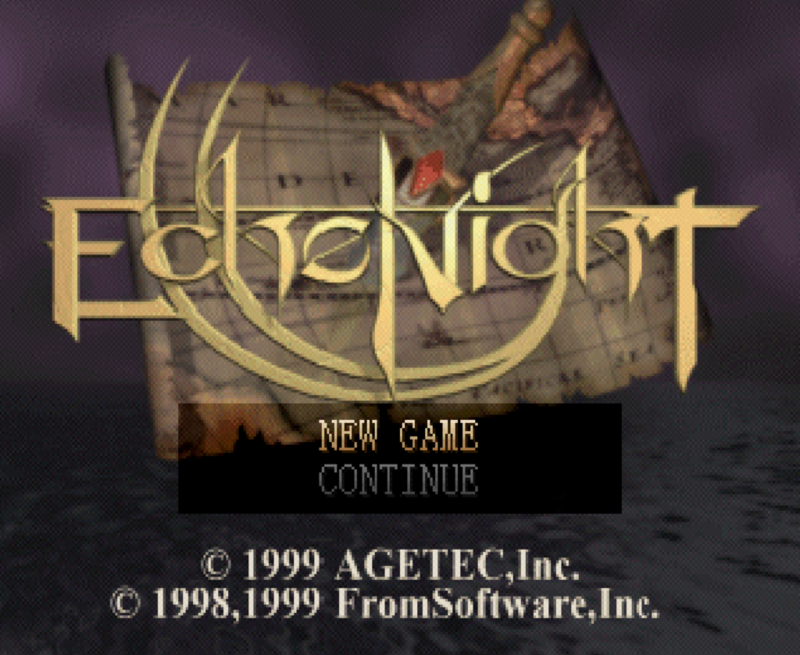 However, in 1998, right before the genre truly exploded with everyone throwing their hat into the ring, FromSoftware released a title running on the engine that King’s Field had found success with on the PSX: Echo Night. Directed by Akinoiri Kaneko, it was a first person survival horror set aboard the S.S. Orpheus in 1937. Tasking players with traversing a literal ghost ship, the setting was ripe for some real spookiness. 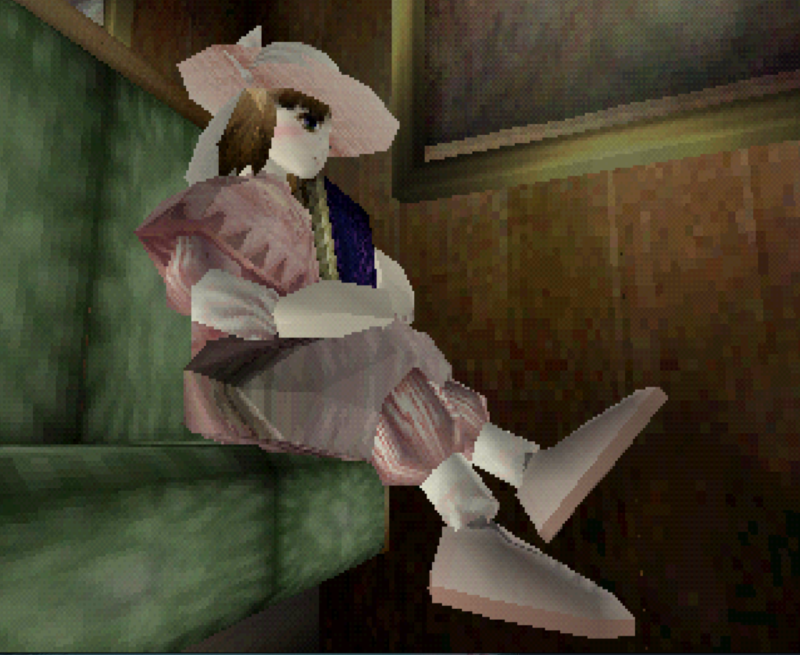 But, unlike the zombies of the Umbrella Corporation, Echo Night’s ghosts were primarily passive creatures, existing in various states of regret and melancholy. Can you not feel the melancholy of sad sailor ghost man? By interacting with them, you delve into their memories to help them move on from this world. Exploring the past through them allows the player to discover objects that can be brought back to the present to help solve the puzzles the player faces. However, not all ghosts are wrapped up in the malaise of being tied to the mortal realm. When wandering into a darkened room, a certain few ghouls can appear and attempt to attack you. The only counter is to flip a light switch, banishing them from the room. Struggling against these spirits, the player can take just a few hits, juggling navigation to a switch with deciding when to heal damage with the occasionally found Healing Potion or Holy Water. Survival is only found through avoidance and cautious exploration. Of course, all of this sounds like the makings of a general survival horror title: puzzles, exploration, maneuvering past danger. The interesting trick Echo Night pulls, though, is that these dangers almost completely fall to the wayside after the first fifteen minutes or so. More so than emulating Resident Evil, Kaneko pulls influence from point-and-click adventures, having more in common with Darkseed than any other survival horror title of the late 90’s. Item management quickly becomes an afterthought because of how large of a health pool the player has, and as troubled ghosts move into the next life, they leave behind an Astral Shard that can be traded in for more healing items that very quickly pile up alongside the abundance of health pickups in the environment itself. Together, these do away with the need for a nonstop scavenger hunt to stave off death, as is part of the core of Resident Evil. Not necessarily an outright bait and switch, the subversion of what were quickly becoming survival horror tropes allowed Echo Night to flourish as something that would, nowadays, be tearing up the itch.io charts, hailed as an experimental foray into merging first person adventure with head-scratching puzzles a la Myst more than as any horror-action title, exploring a myriad of moods beyond tension. The game very much exists as something of a proto-walking sim, more interested in evoking atmosphere and emotion through visual design, writing, and music than throwing jumpscares and action-centric challenges at the player. Breaking the game down like this is all to elucidate the idea that, despite its surface-level trappings of, and vague similarities to, other horror titles of the time, Echo Night takes simple steps to make itself stand out among the crowd. As the modern day indie scene moves from developers who hold nostalgia for the days of 16-bit pixel art into those who grew up with the N64 or PSX as their touchstone for the concept of retro aesthetics, games such as Echo Night come up more and more into the minds of these developers as pieces to harken back to and take as foundation. It’s easy enough to see why there’s a draw to emulating late-90’s console graphics: the fuzziness of textures, the low-poly models, and usually simplistic modes of play are easy for smaller teams, especially solo developers, to work with. 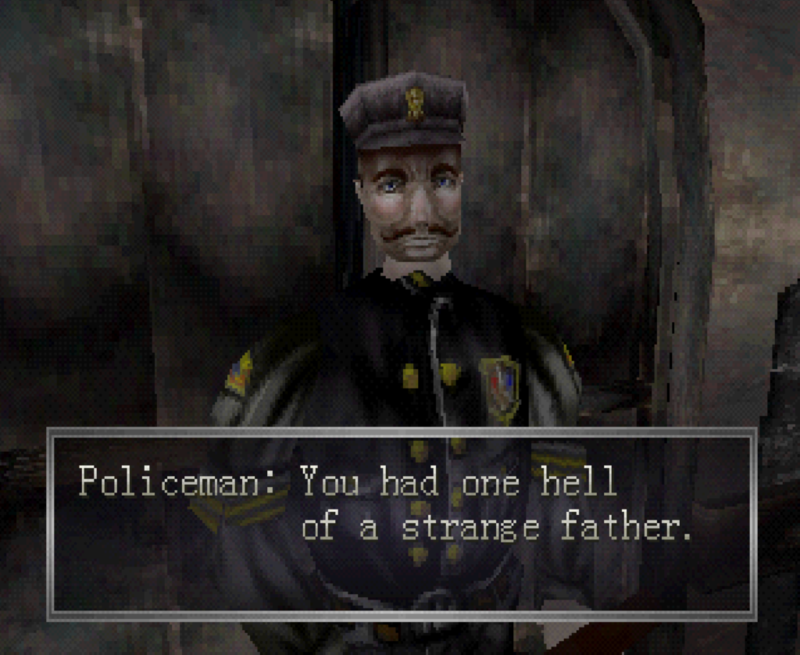 The issue, however, is in the choice to draw aesthetic inspiration, without diving deeper into what makes these games worth returning to nearly two decades later. While the artistic endeavors of the era shine, pushing the technical envelope of the time, it’s easy to overlook the context in which these games existed, as well as the details that fleshed out the experiences so many are nostalgic for. Fearing the overabundance of “asset flips” as a community, gamers and developers should worry more about the inevitable flood of “aesthetic flips”: latching on to a particular art style or emulation of older hardware in lieu of attempting real quality or depth. 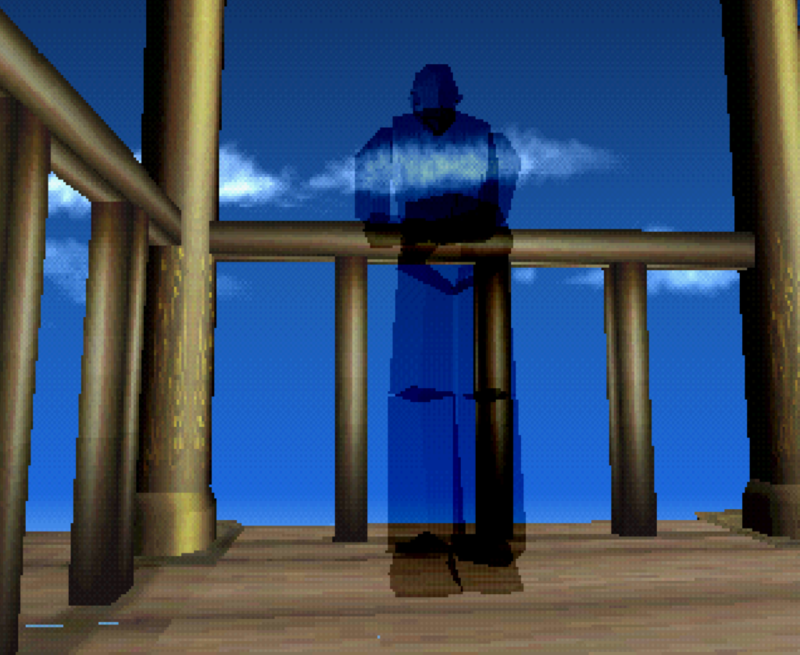 This is not to say that replicating something such as the PSX’s rendering style is an easy feat; it’s a difficult endeavor. However, the ease with which developers can plug in a few post-processing scripts to quickly transform their piece into something more pleasingly “lo-fi” obviates the need to think critically about the visuals being pulled from. It’s totally just a very dark night, nothing to do with render distance fog, nope. In the end, it’s simply not enough to harken back to the simpler styles of rendering to create an interesting piece of art. It would do microindies good to take these older pieces in as a whole, investigating what the developers did with the visuals, and how they allow players to interact with their worlds. Charming effects and art can take a game a long way, but one should never disregard the importance of marrying mechanics to visuals. Basic fidelity, such as Echo Night‘s chairs and statues that one can move around (even without specific uses), or animations showing the motion that comes from opening doors or drawers, breathe so much more life into the overall game. Low-res textures and low poly counts do not make a game inherently worth playing, much like attempting to re-capture the charm of SNES pixel work fails to make a throwback-styled metroidvania engrossing in its own right. Only through the synthesis of intent with one’s art style, understanding how the aesthetics feed into the gameplay itself, and how all of that can frame a narrative or purpose, can one make something noteworthy. Failing to see the forest through the trees is far too easy a mistake to make, and developers who wish to create games that bring them back to their childhood would do well to preempt against such tunnel vision. Art assets do not make a game; it’s how one exists within those liminal spaces, moving from moment to moment of play, that bring players into these worlds and keeps them immersed within. Catherine Brinegar is a trans game developer and filmmaker who explores the surreal and abstract in her work. Beyond her creative endeavors she enjoys losing herself inside other worlds, interactive and not. Finding inspiration in everything, Catherine aims to see all the world has to offer, through the continual conversation of art. You can keep up with her on twitter @cathroon. Begrudgingly powered by Wordpress 5.0.3. Page generated in 0.050 seconds using 20 queries.